They say, “The customer is always right,” so we rounded up the 10 highest rated cameras being sold today to help you get the most value for your money. With the state of today’s economy, you will surely want to take their reviews into consideration to get the most “bang for your buck” if you are considering purchasing any camera in 2009. 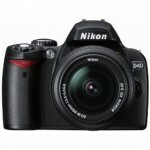 The following top-rated digital SLR and point and shoot cameras are averaging a 5-star rating from Amazon.com reviewers and have at least 10 reviews. 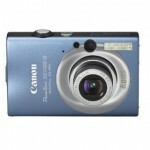 More Best Selling Digital Cameras can be found in our very own Show Me Your Pix Camera & Camcorder Store. ← Lost your camera? Web site reunites photographers & their gear. An award-winning professional photojournalist captures the action in Schuylkill County. SMYP specializes in sports, editorial, and event photos. © 2018 Show Me Your Pix. Website developed by 3SF Media.